There should be a word, a friend of mine recently said, for when companies over-market a relatively simple feature that ought to just be standard in a well-made product. Until we come up with that word, I can offer a brand that does something in the same spirit: it’s called Kizik, and it sells shoes that you just step into, without having to use your hands to put them on. I’ve been trying out a pair of these shoes for a few weeks, and they definitely have that “this is how it should always be” feel to them, even if their price feels a touch stratospheric for the small bit of added practicality they provide. The design premise of the hands-free Kizik shoes is to simply adapt to the most natural way you or I would attempt to put shoes on. We do it all the time with our older sneakers, anyway, right? Crush the heel of the shoe as you force your foot into it, and then maybe pull it back up to complete the task. 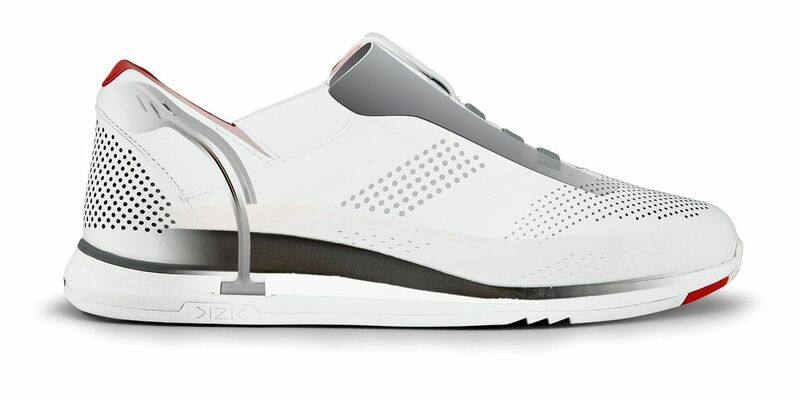 Kizik just takes that as its starting point, and its clever bit of engineering revolves around a titanium wire at the back of the shoe that springs back up once your foot is nestled inside. 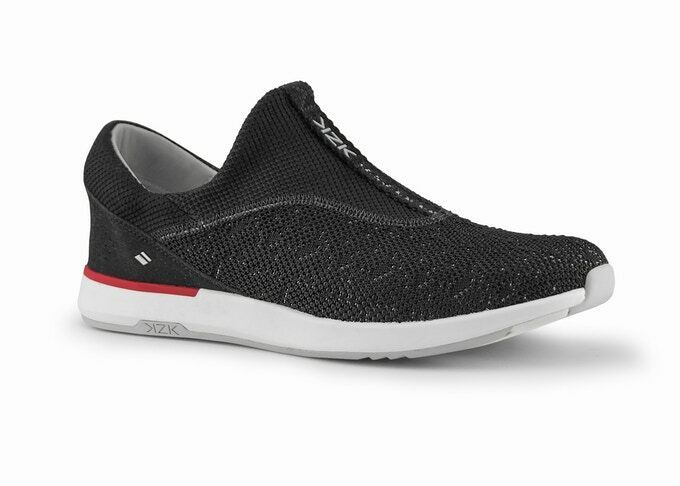 It’s the logical evolution of slip-on shoe design. The titanium wire provides heel support and also springs the back of the shoe up after you’ve stepped into it. In my time with these shoes, I’ve noticed a qualitative difference between comfy old shoes that I can just step into and ones that are specifically designed for it. The Kiziks are frictionless. If you time it right, you can have them on almost without breaking stride. That’s pretty handy if you’re in and out of the house many times per day as I am, and the clean aesthetics make them unobjectionable to wear. Slipping them off is also easier than pretty much any other shoe I’ve tried. The first Kizik lineup launched a year ago with the help of a Kickstarter campaign, and it’s a selection of full-grain leather models, each costing upwards of $160 without the crowdfunding discounts. I’ve tried the Boston variant, which is well-designed and built, but I initially found them to be too tight for comfort. That’s been accounted for with velcro adjustments on either side of the shoe’s tongue, and once I loosened those, the shoes become reasonably, though still not perfectly, comfortable. Kizik says the thick leather takes a while to settle in. Alternatively, a newer range of fabric mesh models priced at $115 has also just completed its Kickstarter funding and started shipping at the end of January. 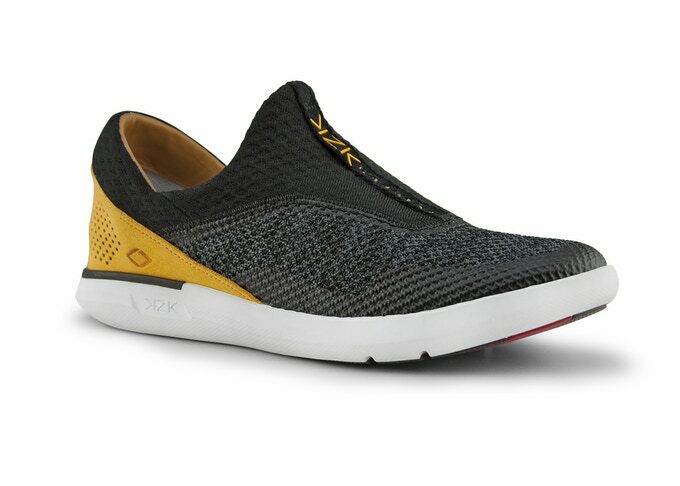 Women’s (left) and men’s styles of Kizik’s fabric mesh hands-free shoes. Based in Alpine, Utah, Kizik is a company founded by Michael Pratt, founder and former CEO of Ogio International, a bag maker that was bought out by Callaway Golf in 2017. So while the company has relied on Kickstarter to grab attention, I see it much in the same vein as Peak Design: going to crowdfunding for the marketing boost more than anything else. Over the past year, Kizik shoes have become available online at Nordstrom, Dillard’s, and Zappos, along with brick-and-mortar stores across the United States. On the basis of Kizik’s managerial and design pedigree and on the strength of how well-executed its hands-free concept is, I feel good about recommending that you should give these shoes a try if your budget allows it.